Japan Airlines’ special fares for all Tokyo bound flights comes at the perfect time as travelers prepare for their 2019 trips. With over 10 non-working holidays in the first half of the year, Filipino travelers will be glad to know that they can start filing their leaves to visit Japan either for winter or their famed spring blossom season for discounted fares. Tickets go on sale from December 11, 2018 until January 10, 2019 with a travel period of December 11, 2018 to July 31, 2019. Prices are as lows as USD 320 for Economy Class, USD 699 for Premium Economy (applicable only to flight JL742/Narita), and USD 1099 for Business Class. Apart from Narita, the Japanese flag carrier also launched its newest route from Manila to Tokyo via Haneda which is the only flight that allows passengers leaving from Manila to arrive in Japan early in the morning. With JAL's newest flight route, this allows travelers to make the most of their stay by ensuring they don't lose a day when travelling effectively. Japan Airlines Philippines’s General Manager, Mr. Chikara Mochihara expressed his excitement over seeing more Filipino travelers heading over to Japan. “With the Japanese government’s effort to boost repeat visitors in the country, we’ve seen more Filipinos acting on their desire to visit Japan as we welcomed the moe than 400,000 tourists from the Philippines in 2017. As the flag carrier, we are very proud to be part of the Filipino tourist’s journey as we extend the Japanese experience from the moment you step on board to the moment you arrive in Japan.”, said Mochihara. 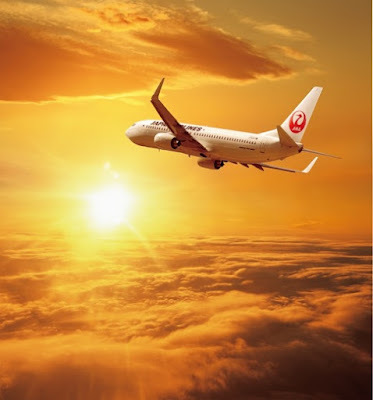 For more booking and sale guidelines, visit Japan Airlines’ website.